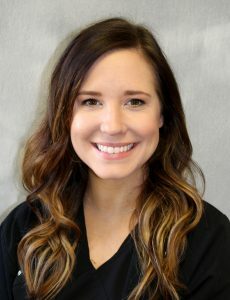 In today’s Staff Feature Friday we’re learning a little more about Keely, one of our outstanding nurses in our Emergency Department! How long have you worked at Parkwest? I have worked at Parkwest for 4.5 years. Why do you love working at Parkwest? I love working at Parkwest because, as an ER nurse, it makes a difference to take care of sick people who chose their hospital and who want to be here and people choose Parkwest. Where are you from? I am from Clinton, Tennessee. Do you have pets? No pets, but I love horses and would love to have some one day. Why did you become a nurse? I decided to become a nurse when I was 5 years old. My mother was sick in the hospital and she didn’t have a very good nurse who was thoughtful, knowledgeable and empathetic and I knew I wanted to be the change! What is your dream vacation spot? My dream vacation spot is Italy! What is your favorite holiday tradition? My favorite holiday tradition is roasting S’mores and spending quality time with my family. What’s it like working in the Emergency Department? I would describe working in the ED as organized chaos. Everyone has a job, implements it well and we work great together as a team. It’s always inspiring to see everyone come together in moments of crisis and save a person’s life. Would you rather have a free trip or money? I would choose money over a free trip. What is your favorite outdoor activity? My favorite outdoor activity is kayaking.